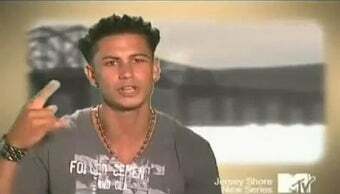 For its new series Jersey Shore MTV takes the Real World reality model by placing eight roommates in a house and filming the results. However, these roommates happen to be "the hottest, tannest, craziest guidos," according to the trailer. Jersey Shore premieres on MTV on December 3.